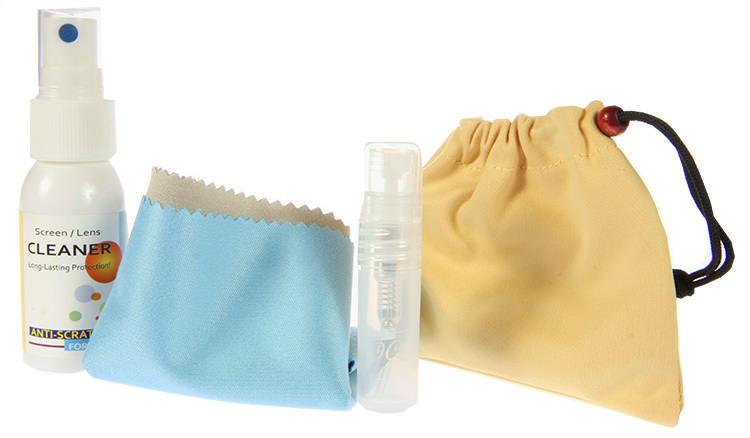 Minimize particulate contamination and additives without sacrificing absorbency! Comprising of cellulose and polyester fibers, these highly durable wipes (available in 9 x 16.5 or 12 x 13 sizes) are made without glue or binders due to the hydro entangling manufacturing process. Designed for the Aerospace industry and often used in device manufacturing facilities, these wipes exceed many military and aerospace specs. Shipping Weight each 100 pack: 8 oz. DuPont Low Lint Window Wipes Designed for use on acrylic plastic airline windows, these disposable dry wipes are soft yet very strong. Safe for all types of screens and glass surfaces. Silky Microfiber Cloths A popular choice for screen and glass cleaning. The cloth has a soft, silky feel. The high quality weave (260 gram/m2) of this cloth provides streak-free results. Diamond Weave Microfiber Cloths Very low lint cloth that effectively removes fingerprints and dust from a variety of surfaces. Suitable for screens, surface cleaning and industrial critical cleaning. Brushed Suede Microfiber Cloths High quality and low in lint, brushed suede cloths are versatile and can be used to clean everything from glass/screens to plastic and lab equipment. Bubble Looped Microfiber Cloths A high quality cloth with excellent cleaning efficiency. The large looped style easily grabs and holds onto dirt and dust particles.